Claim: the Earth has no thermostat | Watts Up With That? From PURDUE UNIVERSITY comes this stretch of a paper that looks to be nothing more than a headline grabber. Interestingly, the study covers 56 million years ago, and somehow they seem to think the atmosphere will behave the same today. Current observations say otherwise. WEST LAFAYETTE, Ind. — New research findings show that as the world warmed millions of years ago, conditions in the tropics may have made it so hot some organisms couldn’t survive. The study is unique because of the quality of the geological records utilized. Geological records from the PETM are difficult to find, especially from an area of the tropics, Huber said. The research was based on a shallow marine sedimentary section deposited in Nigeria. Two research methods were used to judge the temperature during the PETM, one utilizing isotopes in shells, while the other examined organic residues in deep-sea sentiments. The biotic records left behind from living organisms indicate they were dying at the same time the conditions were warming. “If you say there’s no tropical thermostat, then half of the world’s biodiversity — over half of the world’s population, the tropical rainforests, the reefs, India, Brazil — these populous and very important countries have nothing to prevent them from warming up substantially above conditions that humans have been used to,” he said. The trends in temperature increases in the tropics are similar to those found in other parts of the world, but other records have been very sparse and limited until now. Huber’s work has been funded by the National Science Foundation through grants EPS 1101245 and OCE 0902882. The model used in the study is developed by the National Center for Atmospheric Research, which is also supported by the NSF. Computing was provided by ITaP’s Research Computing. I. N. Williams, R. T. Pierrehumbert, M. Huber, Global warming, convective threshold and false thermostats. Geophys. Res. Lett. 36, L21805 (2009). Yes, reference your own paper. I remember reading the papers about global warming15-25 years ago. The same several persons, cross-referencing each other, a very tightly knit group. Sounds like it should rank with pal review. Read the Paper Referenced. I dont do windows or change your diapers. Perhaps you ought to learn, Mosher. It looks like the dodgy second-hand temperature database business is going to go t1ts-up any day now, and you’ll need some way to make a crust. Ah, but I forgot, you’re moving into the dodgy second-hand air polluton database business, aren’t you? In addition, the hot tropical SSTs refute tropical thermostat theory (14). As I prove in my post “Climate Change Deciphered”, the amount of Sulfur Dioxide aerosols in the atmosphere are the control knob for earth’s temperature. Properly manipulating them should enable us to adjust temperatures to our liking. Since I haven’t seen evidence that anyone asked for a diaper change, I must assume that your tart tongue is being let loose yet again. Honestly, I have tired of it. Therefore, all posts with ‘Steven Mosher’ in the header will now join a fair number of others in my personal ‘ignore’ bin. Sort of a shame, really. Some of your posts have been interesting or entertaining. Too many have just been snarky and/or nasty in tone. I have attained an age where I have no urge to continue reading such. A small amount of civlity doesn’t not seem too much to ask but does seem beyond most of the children of the internet. Anyone still reading has my full approval to add my postings to their ignore bin. I follow the inclinations of the great Rhett Butler. Climate is my hobby, air pollution as well. If you look at the interglacial temperatures compared to the bottom of the ice-age, you’ll see that ice-ages have over the last 5million years been getting colder and colder, but in contrast, the interglacials remain within a narrow band. This strongly suggests some form of limit to the climate such that temperatures cannot easily get warmer. However, like you I’m perplexed as to what the original theory was, what the evidence supporting a tropical thermostat was and how it was proposed it functioned. From other discussions that I have listened in on The proposed thermostat comes from the fact that as water warms up, the rate of evaporation increases. This acts as a strong negative feedback. First the evaporation itself cools the water, secondly the extra water in the air creates more clouds. Meanwhile, when did you stop beating your wife? Um, when the climate stopped changing? – I’m sorry, Senator Franken, but I’m not going to a reply to such blatant instigation. – Ok, I’ll reword: when did you cease to assault your spouse? – So you deny that you have ended your physical violation of your partner? – You can’t confirm or deny that you have quit striking your other half? The poles don’t do any cooling to speak of. The surface radiation rate generally varies with the fourth power of the Temperature, so the hottest tropical desert regions cool about 12 times faster than the coldest polar regions. Need I say the cooling rate is highest during the hottest part of the midsummer afternoons. The biodiversity of the tropics and the incredibly specialized nature of many organisms in the tropics indicates that the tropics have been ridiculously stable in temperature for many millions of years. Otherwise, these detailed and intimate interspecies dependencies would not have evolved. Vary stable, with the poles doing most of the temperature changes. What the panicky warmists decline to mention is that a warmer world simply means a longer but not hotter summer, slightly warmer night time temperatures, a longer growing season, and milder winters.There is no indication that the summers get hotter in temperature magnitude, just in temperature average. Corn in Iowa loves 100 deg F and 100% humidity in the summer. Winter temperatures in Alberta Canada might be -29 deg F instead of -31 deg F, still cold but not as cold. You may be right , but I doubt it. 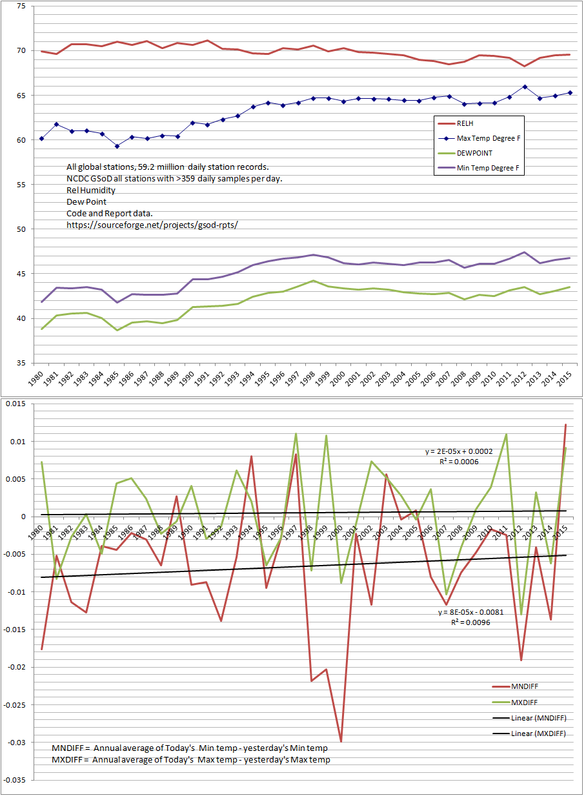 The actual lag of CO2 is the actual lag of CO2 concentration to the Co2 EMISSIONS variation OVER TIME..
And wholly depends in the CO2 residence time in atmosphere…..
800 years lag in long term data is as same as 150-200 years lag in short term,,,,still the same lag as far as for the climate date……still a lag in an ~0.4C temp variation…….the data about the 300 years confirms that…. and the whole entirety of climate data supports it at any time……..
That is not quite correct……..according to the official orthodoxy, is like more a range of 4.5-7.5C compared with a 8-12C range….not quite the same……. The only conclusion one can derive from this is that the discrepancy is so high that any conclusion based at such data products is of a very high uncertainty and faulty in principle……of no much value as it is or contrary to what is claimed…..
hopefully you get my point of argument……….you are wholly wrong with the way of approach and the intention to make some sense out of all this, as far as I can tell……..the classical error that most fall for, as far as I can tell….. Surely a very shallow marine area, possibly with a dark bottom, under tropical sun, might warm up to incredible temperatures. You might get boiling in small enclosed areas. But this would not be representative of the whole planet….? Exactly what I was thinking – it’s like taking Death Valley as a proxy for the northern hemisphere today. My thought, too. One small area of shallow water, plus the usual problems with proxies for temperature. Sounds like From Here to Eternity. So, reproduce the data at another site! What is the probability of that happening even if an appropriate were discovered!!!??? WR: ‘a conservative estimate’ …….. It shows that they are 90% sure the temperature was somewhere between 30 and 50 degrees. Flexible calibration indeed. Also I always get suspicious when the word “Bayesian” crops up, because too often it means “we couldn’t get the result we wanted, so we use Bayesian statistics where we can fudge whatever we need by using an inappropriate prior which we carefully don’t mention in the paper”. By the way I can’t find any mention about what prior the Bayesian calibration uses in the “Supplementary Matertial”. How does this pass a peer review? this makes no sense to me, I worked in hothouses in Perth WA where were were growing plants at temperatures above 50C.. staff were given 15 minutes maximum to work in there but the frogs seemed fine, the algae seemed fine, the brophytes, the helioconia’s.. all the tropical plants were growing hard and fast. Especially the algae, sitting on black plastic in pools of water that hit temps of around 60C – so much life, flourishing under these ‘lethal’ temperatures. Maybe its just engineers, but when we want to change assumptions we need to justify it and explain the differences…….. Engineers are held to much much higher standards and are proud of those standards. The same cannot be said for the so-called “climate scientists and academics” pushing the global warming scheme. In one of the first studies using the Tex86 proxies, the timeline overlapped the ice core record from Antarctica. The Tex86 proxies had temperatures 2C to 3C higher and there was little correlation to the ups and downs of the ice ages in the period. Generally I am not using any Tex86-calibrated numbers anymore because they never seem to match up with known temperature history. The methodology is not used very often anymore either except when the scientists like the seemingly random results. Indeed, your question is the most important of all possible responses to the paper. I wonder why peer reviewers of the paper did not ask your question. Oh! Silly me! Of course I don’t. Willis conclusively disproved. I guess he’ll never to post again. Oh, the humanity. Everything you said is wrong. Oh, the humanity. There was an implied “/sarc”, at least I read his comment that way. Let me help you a bit with your grammar: ………. Oh, the hilarity! Ready, fire, aim, then draw target where bullets hit side of barn. ” … SSTs rose to >36°C … ” Still does in isolated shallow pools if there is no wind, clear sky etc.Things that don’t dig in leave rather quickly. On any larger scale, the emergent phenomena kick in and it all goes steaming upwards. “The biotic records left behind from living organisms indicate they were dying at the same time the conditions were warming.” Really? Don’t the fossil remains primarily prove that the organisms were in fact LIVING during the time conditions were warming? On the other hand, show me a fossil that was alive when it fossilized! That’s cruel, and I think you meant Nancy Pelosi, anyway. Findings based on just one site? Wasn’t there a tree somewhere in Yamal which had the same sort of reputation? Pal review at its best. “we studied samples from boreholes IB10A and IB10B and the Sagamu Quarry (SQ) from the Oshosun Formation, Dahomey Basin, Nigeria” Sounds like 3 sites. Don’t know how close. I don’t find the word “longstanding” in the paper, neither does the paper seem to be addressing this question. That is the “media and communication” freshman writing the press release that made that up. When the paper talks about “rapid warming” in the context of a 50 million year record ( with what time resolution ? ) rapid probably mean over a couple of million years. When the outfit is called “Purdue Climate Change Research Center” you know that the very existence of the place is not based studying climate but trying to prop up a politcial agenda. You would be right about that at Purdue. That particular climate research center is EXTREEMLY Liberal!! Purdue has a few slightly right of extremely left associated groups. This group is NOT one. If they can’t settle the global temperature of the last 200 years with any kind of accuracy, anything further back should be taken with an ocean sized pinch of salt. The researchers are basing a lot of their ‘stuff’ on data from Nigeria. That’s like a scientist 50 million years from now inferring global conditions based on data from Death Valley. Conditions in Death Valley aren’t even representative of California let alone the planet as a whole. *Today’s temperatures in the gulf are delightful. The position of the continents via tectonic shifting and the state of oceanic currents at the time vs today was one of my first thoughts when reading this ‘article’. Also, I didn’t see it but does the author cite the studies which back up his claim that “Longstanding theories dating to the 1980s suggest that as the rest of the earth warms, the tropical temperatures would be strictly limited, or regulated by an internal ‘thermostat.’ “. Well, that and does he give any empirical range to what ‘strictly limited’ actually means? The only theories I’ve seen that ‘suggest an internal thermostat for the tropics’ are Dr Lindzen’s idea of the ‘Iris’ effect of thunderstorms in the tropics (I hope I summarized somewhat accurately) although I don’t know if he published any papers that make it a ‘theory’ and I don’t know that he has been espousing it since the 1980’s (I suspect not). If the author doesn’t he’s engaging in a classic ‘strawman’. Interesting there is nowhere near as much scepticism going on over in the “Shock finding: P-T mass extinction was due to an ice age, and not to warming” thread. Despite research on rocks 250 million yo from a single location. Haven’t read that one so I can’t speak to your concern. Or one ice core (Take ya pick) or one tree, YAD061. Read both papers and check the methodology. There is a world of difference. One is based on multiple high-precision radioisotope dates based on very well-understood physics from a number of sites. The other one on a single core, and temperatures measured by a single method of low precision (TEX 86) used far outside the empirically calibrated range. That’s the trouble with warmists. They actually want us to reject good science to balance out our tendency to reject bad science. PS: Tony, if you want to go over and poke holes in the science of the other paper, be my guest. With your world class skills you should be able to refute it in no time. Is not Nigeria scam central, and the source of countless different schemes to rip off one’s money? Global climate studies based on the date 56 myr before the present is not very convincing analog for the present because the continents were configured differently. Ocean currents were much different and the oceans occupy and occupied then about two thirds of the Earth’s surface. Then as now, the atmospheric mass was equivalent to about the mass of the top10 meters of the ocean. The hypothesis that the Earth has no thermostat needs additional qualifications, including the configuration of the continents. And according to Shaviv and Veizer, cosmic particles also play a role. Shaviv, Nir J., and Ján Veizer. “Celestial driver of Phanerozoic climate?.” GSA today 13.7 (2003): 4-10. Ocean currents were much different and the oceans occupy and occupied then about two thirds of the Earth’s surface. No Antarctic circumpolar current for starters. The world was a very different place and our understanding of it today is worth nothing. Expectations of temperature from Oxygen isotope ratios…worthless. Quite different from our calibrations due to radically different weather patterns. Add to that we really dont know what caused the PETM and you have way too much uncertainty to say anything useful. Sooo…..now they can determine the temperature of things 80 million years ago to a fraction of a degree? Uhhhh….that alone tells me the whole concept is rubbish. Then, saying there is no thermostat tells me the whole concept is misconceived. The author would not know a thermostat if it were stuck in a dark place. The entire earth is a thermostat. It radiates energy based on the temperature at the surface and the emissivity of the surface. More heat added, more radiation, which results in cooling. Less energy added, less radiation. THAT IS WHAT HAPPENS EVERY DAY AND NIGHT. To globally change temperature, it would be necessary to change the amount of energy absorbed by earth. Super volcanos, impacts, etc, could do that. Changes in the sun could do that. Changes in earth’s orbit could do that. JW, you must go to the site you wish to link to and copy the URL. It does not work from the search page link. One really needs to know a bit about the PETM as a background to this paper. The PETM has long been a poster child to CAGW. A brief (c. 100 000 years) episode 55 million years ago when the world’s climate abruptly became much warmer (5 degrees or more), a sort of an ice-age in reverse. And it started from a vastly warmer climate too. Now this is something very unusual, there were a couple of similar but smaller “blips” during the Eocene a few million years later, but nothing remotely similar has happened for the last 50 million years (unless you count interglacials like the present one). And nobody knows why it happened, though it is nowadays taken as a given that it was due to more CO2 in the atmosphere, though nobody knows where it came from. However PETM has one big drawback from a CAGW viewpoint. Nothing very terrible or even unpleasant seems to have happened. There was no mass extinction, there was as a matter of fact hardly any extinctions whatsoever, except for tropical bottom-living forams. To the contrary life on Earth seems to have flourished as it has never done since. A quite amazingly large proportion of all animal groups on Earth today first show up during the PETM, probably because the warm climate made it possible for them to disperse from continent to continent through normally uninhabitable arctic areas. There is some evidence that north American mammals became smaller during the PETM, but this was a transient effect, and it’s not that terrifying in any case. Therefore the excitement this paper has caused. There is (perhaps) actual evidence that one group of organisms were actually stressed by the PETM, at least in one place! Well, no dinoflagellates actually became extinct, but at least there were fewer of them for a while, so there. However there is one thing that makes me suspicious. The proportion of protoperidinioid dinocysts go up sharply during the PETM, something they don’t comment on. Protoperidinioid cysts are known to be more resistant to oxidation than other dinocysts. Could the whole thing be due to differential preservation? Nice comment. I did a bunch of research on PETM thinking it might make a nice essay for Blowing Smoke. Ended up not even writing a draft for inclusion consideration. Temps went up sharply and rapidly concommitant with injection of 13C depleated carbon. Sea level rose. 13C depleted carbon strongly suggests a fossil fuel source (Siberian coal seam fires?). But not much bad happened in the fossil record until this dubious new study. So there was global warming for ~200k years, it wasn’t anthropogenic (but may be an analog) and there was no C as in catastrophe. None of them is really satisfactory, and in any case it seems that in the best profiles warming comes first, and the d13C shift follows, not the other way around. “Could the whole thing be due to differential preservation?” How would they know? They didn’t do a proper sedimentological analysis. Their results could be due to change in sedimentation rate or provenance, a flood in meteoric water, a facies shift, normal biological shifts, etc. tty, notice that ristvan already mentioned Siberia. Look up the Siberian Traps, and consider what that might have done to coal deposits in the region. Rud- The missing ingredient in your otherwise cogent analysis is imagination. With the power of imagination, all things are possible and ethics become a false barrier to the truth as “what feels right”. In the imagined future, everything that can go wrong will go wrong, unless we act today to force people to stop doing what is imagined to cause “the dreaded future”! da-da-DA! That was 195 million years earlier, so I should think the effect would have worn off. More heat = more evaporation and circulation. This would tend to slow down “temperature” increase at the equator by a significant amount, no? Why is this anymore than a local effect due to geography? If you haven’t seen the Lindzen talk given in a link above it is very informative. Expressing his views on what and how of climate science and science in general. Never heard it put better. How is it that the evidence can keep changing but the science remains settled? Checking out shells in the “deep sea sentiments” seems more psychology related. Perhaps the climate scientists have retreated into their shells because of deep seated sentiments. No, studying sea shells is extremely useful in geology. They are used to identify sediments by age and the environment conditions when the mollusks that formed the shells lived. Geologists I know who are in the oil industry study shells as an important part of their work. Please don’t confuse this poor quality study with serious geology. I was going to comment on the “sentiments” typo’ but you beat me to it. However, because Anthony hasn’t fixed it, maybe he didn’t notice what you were commenting on. Good for a laugh even without the typo. This is pseudo-science to almost equal the fraudulent crap that Michael Mann put out. Is it? The sun doesn’t seem to explain the entire difference between Mars, Earth, and Venus. It seems to me that Earth’s atmosphere (how efficiently is radiates to cool the upper atmosphere, how often the upper and lower atmosphere mix) and how often the planet’s core contributes ancient heat to the surface are all the variables in the global thermostat. And the big difference is liquid water. small wonder, all gooddoers stuck in ice! Hans, where’s a link to that last message? The reporter, of course, doesn’t get paid for mailing ‘send food’ – he gets paid when there’s real dead people on TV. The climate in tropical deserts like the Sahara are so hot today that when it dried out about 40,000 years ago many organisms couldn’t survive either. What complete maroons the climate hypesters are. It was actually 4200 years ago. A. k. a. “the 4,2 KA event”. The earth has a thermostat, working on the hot side, called clouds. There is no thermostat preventing another ice. About 18F of warming regulation due to water vapor. You have put up this one quite a lot. The blue line is net radiation. In the day it is a very big positive, so is off scale. At night it is a negative. At the beginning of the night the ground is warm so it loses quite a lot of heat, hence negative values of -50 or so. As the night goes on the ground cools, so the net radiation loss is a bit less, going to -20 or so. The RH rises as the temperature falls, but the absolute humidity may not be changing at all. We dob’t know from the graph. “Slow slope” points to an empty part of the graph. I cannot identify what it is supposed to be indicating. Fast Slope seems to be indicating that the net radiation changes very quickly when the sun comes up. I don’t know if my interpretation is correct, but at least it is an interpretation. If you want us to know what you are trying to say you need to provide some commentary with the graph.
. At night it is a negative. At the beginning of the night the ground is warm so it loses quite a lot of heat, hence negative values of -50 or so. As the night goes on the ground cools, so the net radiation loss is a bit less, going to -20 or so. Except, the optical window cools at the same rate the surface does, so the surface has not cooled to equilibrium to space like it was doing at the first part of the night. You can prove that with a IR thermometer that uses the optical window, and is actually measuring total precipitable water, but it’s close enough to the sink the surface see. This paper describes the issue with the two cooling rates. But they didn’t find the correlation, but they didn’t because it’s nonlinear with rel humidity, so it doesn’t look like a correlation. Then, since it is temperature based effect, as air temp cools and starts forcing more water vapor to condense it slows cooling. Since over land there just isn’t much water to evaporate, other than what was dropped by the last rain, or dew, if it’s a little warmer today, the absolute humidity doesn’t go up unless the air mass changes, ie a front passes through. Dew point changes slowly. So warms a bit more today, tonight it cools at the high rate a little longer, because it has to cool until it starts condensing water, and since there really isn’t any more, and some of the dew is always lost to the water table, there is a limit on water uptake, and a cap placed on it at night, but in the process it temperature regulates air temps to near dew point. It has to radiate any excess co2 energy to space before the regulation starts. Micro6500. I will look at the link, but for now I don’t understand this: “Except, the optical window cools at the same rate the surface does, so the surface has not cooled to equilibrium to space like it was doing at the first part of the night.” The optical window is a range of wavelengths – it cannot cool. Surely it is a simple law of physics that as a surface cools it will emit less radiation? The surface never gets to equilibrium with space as space is a few degrees Kelvin. 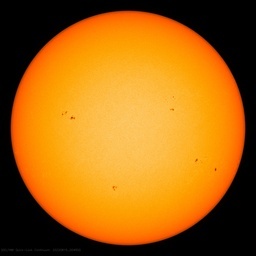 The surface gets warmed up by the sun well before such equilibrium could be reached. Also, there’s a lot of confusion created by the phrase “radiates to space.” Radiation doesn’t care where it goes, it just goes. The reason clear skies are colder is because they have less water vapor in them to radiate back at you on the surface than cloudy skies do. Note you can simulate cloudy skies with a piece of paper. Cold clear skies are really best explained as an absence of radiation. And I say radiates to space, because that’s is the surface radiates to on an SB equation. Still the point is that there is a temperature controlled change in cooling rates, that doesn’t happen until after 3/4rds or more of the energy gained during the day is lost from the surface. Is that better? Is that really what’s keeping people from understanding 3 signals? micro6500. What is the significance of this? I have no idea why that post repeated several times. This was not intentional. Having another look, what are we seeing? After the sun sets we have a period of heat loss of about 50W/m2. This continues for some time at about the same rate. During this period the air temperature is falling, and as a consequence the RH rises, although the absolute amount of water in the atmosphere is unchanged. At the end of this flat bit the RH is about 80%. Now the rate of energy loss starts to diminish. If this were due to cooling surface radiating less we would expect the rate of energy loss to start at the beginning, without that initial flat bit at 50W/m2. The rate of energy loss continues to fall until the humidity reaches about 100%. Then the rate again levels off at a much lower level than earlier in the night. 2) What is happening as the humidity rises from 80-100%? Why does this change in RH cause a steady reduction in outgoing radiation balance? My suggestion is that the incoming radiation must be steadily increasing, but why is this the case? The RH is below 100%, but are we seeing some condensation of liquid water? This is possible as air temperature is recorded at a single temperature, but some areas will be colder. This liquid water then emits radiation downwards. 3) At 100% RH the downward radiation level is “saturated”. Thicker clouds do not increase this radiation. Very good. You very last point. In all of the cases I have seen, this does not end in clouds other fog, you can still shoot the clear sky ir temp, as well as I’m imaging galaxies with my telescope. 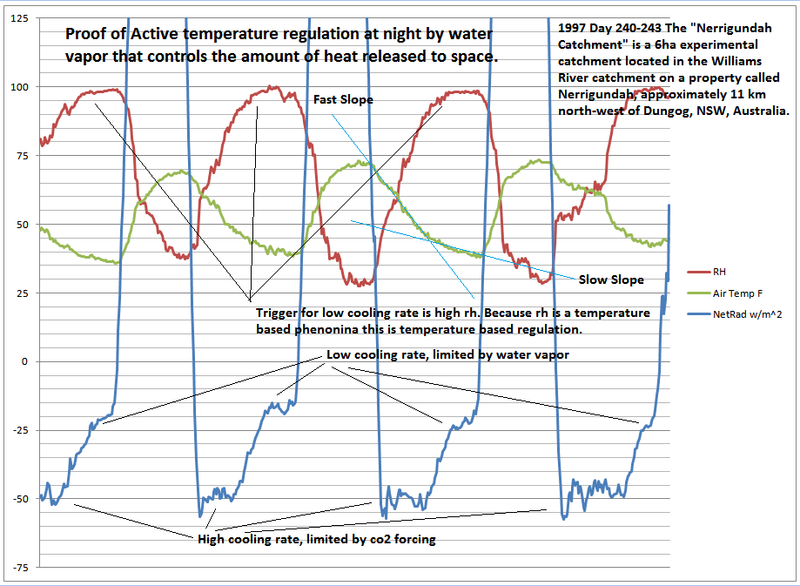 So here is the point, the slowing of the cooling rate only happens after the majority of the nights cooling takes place, it is a temperature effect. If today is a degree warmer and it’s clear tonight, it has to lose that degree before the cooling rate changes. That degree is the first to go. Since dew points (WV) flows with the air mass, and changes slowly, and over land there’s little free water to evaporate. If co2 added a degree of warming, it is almost all lost first at the high rate. You can use these two rates, start at one temp, and add a degree or two to the second, start both cooling at the high rate, they both switch over at almost the same temp, the higher temperature one stays at the high rate longer, and less time at the low rate. That’s how switching power supplies work, this is a natural temperature regulator. If you look at the extended high cooling rate slope, this effect alone was worth about 18F of warming. It has quite a dynamic range, even those it’s not a very good switch, but it is good enough. So, the end result is min temps are regulated to a little over dew point. The surface is tolerant to higher daily temps, and cool to nearly the same temp the following morning. There is little increase in min temps from climate change, a small fraction of the excess warming is all that’s left. It’s the ocean cycles blowing more warm water laden air inland that caused the modern warming period, and as the ocean cycles moved that warm water back into the southern Hemisphere, and global temps will fall. Just like they plunge after an El Nino. Do you see the significance of this now? Sorry, I am still not with you. So there is no liquid water condensing even at the coolest part of the night. What is it that causes the radiation loss to start to decrease after the initial flattish bit at 50W/m2? My first thought was this was just surface cooling, but that should happen more at the beginning, not have a flat bit. I didn’t say this, because this is exactly what I hedgingly think is going on. I said it wasn’t cloud or fog, as it is still clear. But you can tell the atm is heavy with water, it’s ove of the conditions you get doing astronomy. What is it that causes the radiation loss to start to decrease after the initial flattish bit at 50W/m2? Well I think it’s tiny blobs of water that act as reflectors, or the ir as sensible heat and it’s 35-40W/m^2 worth in this example, or it is a cold plasma (effectively) and it just acts as a conductive medium that absorbs the ir and maybe just re-radiates it. Burstmode GHG emission. My first thought was this was just surface cooling, but that should happen more at the beginning, not have a flat bit. This it is not, as you correctly surmise. The paper found this change in rate, I found this change in rate, they looked for a correlation with rel humidity, didn’t find it. because that relationship is nonlinear, and the first 60 or 70% just doesn’t matter. So that failed. I remembered that you also can’t use linear correlation algorithms. I was expecting a high rel humidity relationship to describe the cooling rates I’d been measuring for years under clear skies. I when and found their data to look myself because they had radiation measuring equip, and I only had a ir thermometer (which clearly shows at least for the hole, no equilibrium is reached). then I read their methods, realized their mistake, even discussed it with them. But it’s clear, and dew point does have a high correlation to min temp 98%. So absolute humidity (and Co2) impacts the high rate, high rel humidity(and co2) sets the low rate. but the added dynamic range of the temp based transition means any excess is radiated away from the surface before the transition. And the only impact is the reduction of the slow rate, which doesn’t do much anyways, and even that is compensated away as the days get shorter. This is the surface regulation Willis is detecting in space as his WV regulation hes recently written about. Same effect just opposite ends of it. Co2 isn’t appreciably changing surface temps. Using the daily change in solar due to the changing length of day (due to seasons) I’ve calculated a climate sensitivity of <0.02F per W/m^2. So I think this puts us under 0.1F of human warming the last 150 years. OK, we agree, I just wanted to clarify that the surface radiation goes everywhere, because a lot of people seem to get the idea that the surface radiates more under clear skies (as opposed to receiving less radiation), which sometimes leads to bad conclusions. A bit. I think you can get all the salient details of your basic claim into one reasonably concise sentence, though, and I think that will help a lot in communicating it. Cold surfaces radiate less than warm surfaces. A clear sky radiates very little radiation down to the surface, even in the middle of the day. All of it other than how it regulates out most of the forcing from co2 (a key point, yes) all seems so obvious to me. It’s just 3 signals, 2 of which are doing the same thing they do on a regular basis, similar to most of the rest of the planet. I laughed out loud when I figure that it was a temperature effect in relation to dew point, and that it was the proof of why the only warming that matched estimates was the heavily adjusted surface data sets and that co2 is maybe 10% of the warming. It was also my birthday. I have not figured out a way that people understand, they go off is all sorts of directions, and just will not follow the dots. They seem really ill-equipped at troubleshooting, and then proceed to want to go over every bit of SB theory, blame clouds and fog, even though I’m taking picture of the stars in the low speed cooling mode. I can go on. yes the graph needs fixed, abut yet I do say what the traces are, will anyways, if you have an idea, I’d be glad to discuss it. have thought about this more than most so what seems obvious to you may not be to the reader. Where do you go from here? Is there more data you would like to gather? Well, I have technical goals, the processing of surface data set is taking longer and longer, and I think there are both fast and more accurate methods of averaging temps. If I thought that with some reasonable application of time I could get it pass peer review I’d publish it. But it would consume the next year of my available time, and I weigh that against studying the data while I improve my code. That does not directly contain any data on this effect though. And maybe that is a better investment in time. Is there more data you would like to gather? I think getting clear sky radiation, temp, and humidity from deserts to tropics, to the poles, being able to map how big this effect is.. You could do a lot of the same with ModTran, but you have to run it for every set of conditions as it cools at night. An average Modtran run is about worthless, a side effect of relying on simulators to learn a topic and not understanding what you’re doing. Tropical waters are limited to about 300K where if they get warmer than that, hurricanes form and cool the water. Even a penguin could survive at 300K. I thought C02 was the control knob of the thermostat. Forrest. The very next line is “These theories are controversial…” Are you seriously questioning the existence of such theories? Mot everybody lies about stuff that is so easily proved. Well downtown Sunnyvale can see temperature swings during any single week, that exceed the extreme range of global mean Temperature seen in the last 650 million years. So clearly humans can adapt to very wide Temperature ranges. On any northern mid summer day, the total extreme range of Temperatures on earth can approach 150 deg. C. And due to an argument by Galileo Galilei, there are an infinite number of places on the earth, that can have any value of Temperature between those extremes. Those points all lie on a line; any line connecting the two extreme end points, and there are an infinite number of ways to draw such lines. 150C? Do you mean 150 F? What I actually meant to say was 150 deg. C (Celsius). That would go from about -94 deg. C in the winter night time Antarctic highlands (near Vostok) to about +60 deg. C in the hottest dry summertime tropical deserts. Those are radiating surface Temperatures; and due to a quirk of planetary orbits, they both can occur at the same time.. Some summer surfaces might in fact get to +90 deg. C. My car’s radiator works best when it is hot, rather than when it is cold. I fear the claim doesn’t match the paper. The paper says if there is a thermostat it can be overcome by very extreme unusual conditions … duh. That’s true of every thermostat I know of. The headline says there’s no thermostat … not supported by the paper in the slightest. Huber’s results indirectly support the idea of a “Tipping Point.” Might there have been motivation to come to such a conclusion? Hurricanes are nature’s thermostats for our planet. The columns of warm air that rise and expand release their infrared radiation into space. This is observed, today. As for the conditions that killed off the dinosaurs, we know there was a fairly large comet that impacted the Earth, which imparted a tremendous amount of heat into the lithosphere and troposphere. This heat created hot oceans, which likely went into hurricane overdrive, and over cooled the planet. Ever since, the Earth has been going through Ice Ages in repeating cycles. As the planet currently thaws from the last Ice Age, watch the Gulf of Mexico for anomalous heating. If 90 degree water starts flowing up into the Labrador and Norwegian Seas via the Gulf Stream, we will be on the cusp of a new, major advance of ice. Let me point out that the use of the word “thermostat” in this discussion is NOT the normal meaning of “thermostat”. Normally, a thermostat maintains and stabilizes a temperature at a certain level. However, this paper is NOT talking about such a temperature stabilizing mechanism. Instead, this paper is discussing something very different—an unknown high-temperature limiting mechanism that operates to keep the monthly average temperature of a small part of the open ocean, the Pacific Warm Pool, from going much above about 30°C. A mechanism to keep a small part of something from overheating is not generally called a “thermostat” for a simple reason—it doesn’t prevent cooling or apply to the whole system, so it doesn’t keep the temperature stable. And the “stat” in thermostat is from the Greek for “stationary”, because thermostats don’t just stop something from overheating, they provide stability. Let me distinguish this from my own theory that emergent climate phenomena regulate and stabilize the average temperature of the planet within a narrow range (e.g. ± 0.3°C during the 20th century). First, my own theory involves an entire host of emergent phenomena that occur all over the planet: dust devils, tropical cumulus fields, convection-driven thunderstorms, cyclones, squall lines, the Nino/Nina pump, and the Pacific Decadal Oscillation. The theories discussed in this paper only apply to a small amount of the ocean and involve only a couple of phenomena, evaporation and ocean-atmosphere heat exchange. Next, my own theory also explains how in cooler times the amount of energy allowed into the entire system is increased, preventing cooling. This stabilizes the temperature as the name “thermostat” implies. The theories discussed in this paper say nothing about the entire system and are solely concerned with high-temperature limitation in a small area. Thus they do NOT explain why the earth has not cooled, nor do they stabilize the planetary temperature. This paper conflates actual thermostatic theories such as my own, with these thermal-limitation theories about why the Pacific Warm Pool doesn’t go above 30°C. This is the same misunderstanding that led Dr. Roy Spencer, otherwise one of my scientific heroes, to foolishly, impolitely and incorrectly accuse me of wrongdoing because I had not cited or credited Ramanathan. What Dr. Roy didn’t seem to understand was that Ramanathan’s theory was just about the maximum temperature in the Pacific Warm Pool, and my theory operates in an entirely different realm (emergent phenomena), has an entirely different effect (regulation rather that high-temperature limitation), covers an entirely different region (the whole world rather than the Warm Pool), and involves entirely different mechanisms than Ramanathan’s theory. The control knob for earth;s climate is simply the amount of sulfur dioxide aerosols in the atmosphere..
For the past 160+ years, this is a proven FACT, not a theory. I think a “thermostat” is simply the device which has an adjustable set point, at which something in the system changes state from either “off to on” or from “on to off” depending on which side of the set point the variable being sensed lies. There is no assurance that the change in the system has any capability of constraining the variable to the set point value, and there is even less assurance that ANY other part of the system is in any way constrained. For example if the set point is a Temperature, ONLY the Temperature sensor itself may have its temperature constrained. Everything else is subject to the flows of energy or heat in the system, and thermal transport parameters. And if some proxy for the sensor Temperature is used as a measure by the thermostat; not even the Temperature of the sensor is assured to be constrained. Making ANY decision on the basis of a proxy, can only be expected to affect the value of the proxy; not of anything else. This concept is completely expunged from ALL courses in political science; where politicians imagine all manner of behavior modifications, based on their manipulations of proxies. My favorite PETM fossils were a number of redwood chunks found at 300m depth in the open pit Ekati diamond mine near the Arctic Circle in Northwest Territories, Canada a few years ago. They were dated at 53Myrsbp. They were indeed still wood, with sugary seams of pitch or sap. The wood has the characteristic red of its namesake and it demonstrates that this Kimberlite blasted through in the midst of a redwood forest – a California climate no less. Now that was GW done entirely by the planet itself. Google Redwood chunks Ekati diamond mine. I went for a swim in the sea from the beach at Lagos Nigeria in (IIRC) 1964. It was a coarse gravel beach and fortunately the clasts were well rounded because I got swirled and tumbled by an undertow(?) and gave my forehead and scalp a good scraping. By the way, the temperature in Lagos then was 29-30C as it is now (and was on a return visit in 1998). Might I also suggest that the river water of the Nigeria enters coastal waters there an it could have heated the local seawater s few degrees. I don’t see in their paper or from any reference that they actually did a detailed sedimentological or petrographic analysis of the section they studied. In other words, they didn’t even actually determine the rocks’ depositional environments! They simply assumed the entire several hundred meter Formation is a “shallow marine” section. Laughable! The paper doesn’t contain the word ‘facies’ or any jargon that would lead you to believe they have a clue about stratigraphy or are aware of Walther’s Law. Any geologist will tell you that there is no paleoclimate details you can determine without knowing the exact details of the facies you are studying. Facies change laterally and stack accordingly, and can be quite variable in a shallow marine section. Without a proper detailed analysis of the sedimentary sequence they are analyzing geochemically, their study is meaningless. They don’t even provide details of the samples collection from SQ. The study is therefore not even reproducible, ergo, not science. It’s climastrologists trying their hand at geology with a paper that wouldn’t cut it as graduate work. Apparently someone thinks that if a thermostat exists, it must have a setting at which no life will be damaged. Maybe some life forms invade areas during a cool period and can’t escape when the temperature goes up a bit. What proxies give you is information about proxies. It is a giant leap of faith, that observing or measuring a proxy, tells you anything real about anything but that proxy. They admit that it exists…but suggest that it might stop working due to the 1/25th part of ONE percent of the atmosphere that is CO2…but wouldn’t increased warming cause an increase in WVCC? The atmosphere wasn’t that much different 55 Ma, although the climate was a lot warmer. Hotter seas meant more CO2 in the air. Estimates for the Eocene range from 700 to over 2000 ppm, vs. present 400. Oxygen at one point spiked to around 23%, ie two points higher than now. 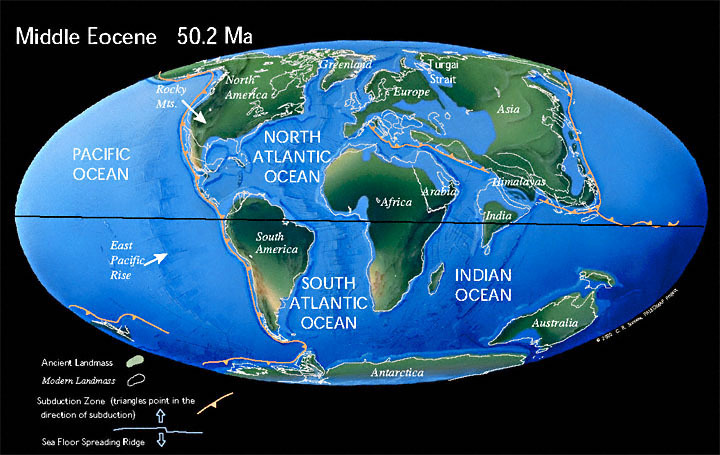 The continents were approaching their present configuration, but the world was more volcanic, with more seafloor spreading. There were more island continents, hence more shallow shelf area. There is a thermostat, but it have been set to kick in higher then. Cretaceous seas were also remarkably hot. So what was the Cretaceous Temperature of Zealandia ?? Of COURSE there is a rough thermostat, provided by strong negative feedback from water , water vapour, and clouds. In this context the word ‘thermostat’ is a metaphor for a negative feedback mechanism powerful enough to control and overwhelm any supposed positive feedback loop. The fact that the planet has existed for billions of years without any catastrophic runaway positive feedback crisis (either a ‘snowball earth’ or a ‘hothouse meltdown’) as have been proposed is incontrovertible evidence that SOMETHING is holding the whole chaotic system in check to prevent the development of ‘tipping points’ and ‘runaway greenhouse effect’ and such. This could ONLY be a major negative feedback mechanism. How’s life in Antarctica doing? Fifty below is a lot harsher than a hundred above. At least, using patriotic American units. Don’t even ask about the Arctic penguins. Gotta love “organic residues in deep-sea sentiments. [sic! ]” But that’s nothing more than my feelings.